Our favorite finds from one of our favorite retailers. Is it just us, or do you always have something lurking in your virtual Target shopping bag? Between all the cool new brands the retailer has been rolling out, like the maximalist Opalhouse line or the recently updated Hearth & Hand with Magnolia line, and the steady stream of low prices, it feels like we never leave a store or browser empty-handed. Lately, certain items in particular have been catching our eye—so if you’re in the market for a bit of retail therapy, here are the Target finds we’re currently obsessing over that you’ll love too. 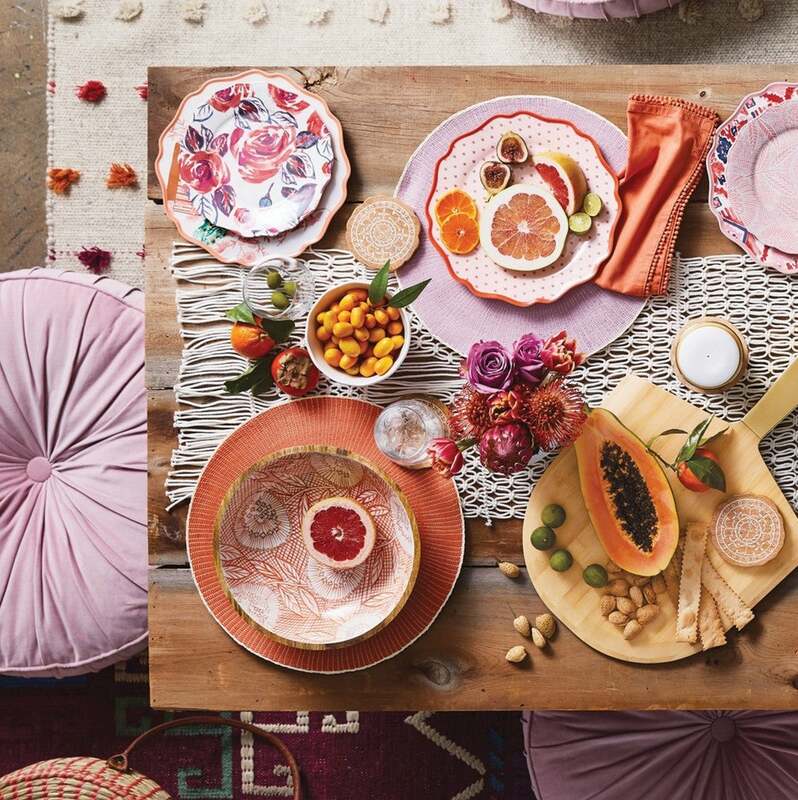 I’m o-b-s-e-s-s-e-d with Target’s new Opalhouse collection. It’s so colorful and totally my style. That said, the item I currently have in my cart is this rattan tray. Not only is it great for entertaining—inside or out—this summer, but I’m also getting breakfast in bed vibes. The easiest way to make a tiny rental bathroom feel like a spa? Plants. I purchased a couple of low-light pothos for mine, and plan to hang one of the trailing plants in this woven holder from Target’s Opalhouse collection (because I’m not sick of macrame). I don’t know how to make tapas, but I am very skilled at eating a full pint of ice cream. These cute, summer-friendly dishes might be the incentive I need to stop eating directly out of the jar and potentially practice some portion control. I’m so obsessed with these! The vases come in three different sizes, and I love the idea of grouping them together to dress up my currently empty windowsill. Thinking I’ll keep a couple of them empty as strictly decorative pieces, and then do one with a super minimalist arrangement for a more casual vibe. I’m getting old, so basically, all I want to do is throw dinner parties and drink wine. I’m obsessed with this table runner from the new Opalhouse collection—it’s so sleek and sophisticated, and would really add a pop to my boring dining table. I’ve gotten into the lazy habit of dumping my clothes on the bathroom floor every morning and evening instead of properly stashing them away in the hamper in my bedroom. Since I’m not expecting my mountain of pjs to shrink anytime soon, I might as well have stylish catch-all to keep them company. Lately, I’ve been seeing sleek, round mirrors everywhere and I’m in love with the way they can match virtually any decor, while opening up a space. This one is chic and affordable, so it’s a win-win. I’m working on converting all of my beauty products to all-natural and organic, as I’m becoming more terrified of all of the toxins lurking in the products my skin absorbs. I’ve been researching brands, and this one has come highly recommended both online and IRL. It’s awesome to see that natural beauty is becoming more accessible and that a big retailer like Target is getting on board. This story was originally published September 15, 2016. It has been updated with new information.